Cute cottage that has been renovated throughout. 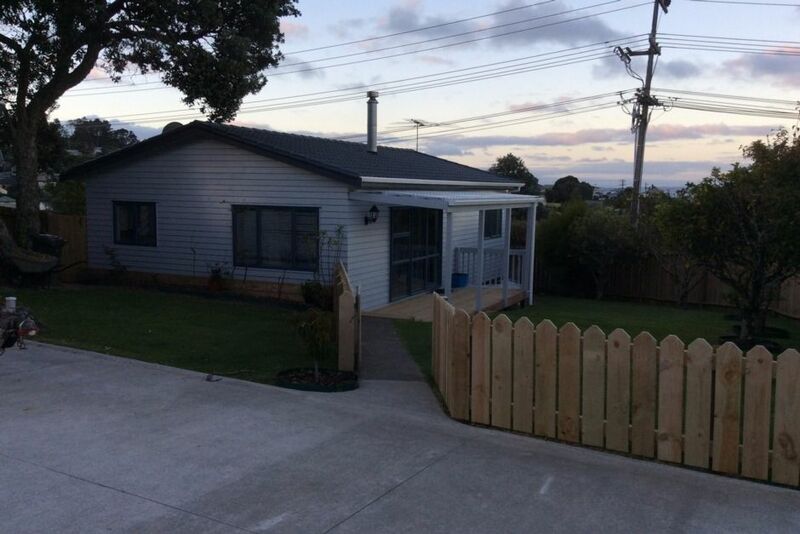 Close to numerous safe beaches on the Whangaparaoa Peninsula. Short walk to buses. Close to childrens playground, leisure centre and skate park. This is a good boat ramp at Stanmore Bay. Ferries can be caught at Gulf Harbour to Auckland City and Tiri Tiri Maitangi. Approx. 20 minutes north is Wenderholm Regional Park. Please note : Guest trip information required. What brings you to the area? Who are you coming with? When do you think you’ll arrive? I have provided the following essentials for short stays, for longer stays please replenish these items. There is tea, coffee, sugar available. A litre of fresh milk and a bottle of mineral water is supplied on arrival. There is also salt, pepper and oil. Margarine/butter, jam and tomato sauce are in the fridge. Dishwashing liquid, dishwasher supplies, washing powder, fabric conditioner and cleaning products are in the cottage. Soap, Shampoo and Conditioner are provided for guest use for short stays and we request that these are not disposed of or "borrowed". Other grocery items can be purchased from the supermarket, which is 2 minutes away. There is a file in the Cottage with a safety card, wifi code, maps of the area etc. Please treat our house as if it was yours and leave as you would like it to be found. I have been married to Leon for 34 years. We have 2 wonderful children, a daughter and son and 2 gorgeous granddaughters. We enjoy fishing, gardening and home improvements and travelling. Approx. 10 minute walk to the beach. Very comfortable stay, had everything needed for a long or short stay, neat and clean. Lovely and friendly owner. Was a wonderful stay, close to beach and shops, great location. Will definitely recommend to others. Most comfortable and very well equipped with everything needed for a long stay. Near beaches and shops in a quiet location. A very nice and well appointed cottage with bright and light decor. We had two very comfortable nights here. Our hosts were very friendly and welcoming; we would stay again! Thanks for staying at the Cottage l, we really appreciate how beautiful you left it. It was a pleasure to host you. Thank you for a fantastic stay! Marlee Cottage is a great holiday home - immaculate with everything you need (and more) for a great stay (a "home away from home"!). Fantastic cottage immaculate and well organised. Fantastic cottage immaculate and well organised. We thoroughly enjoyed our stay and would definitely recommend it to others. Great accomodation. Immaculate and had everything we needed.